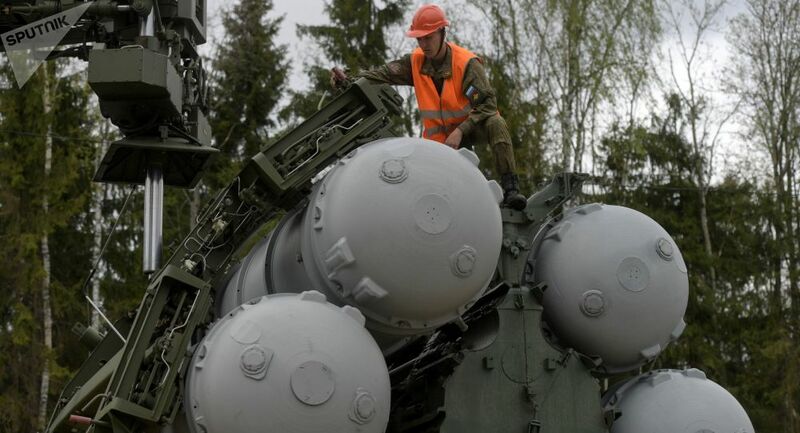 US Senator Ben Cardin has said the deal between Ankara and Moscow on delivering S-400 air defense systems to Turkey allegedly violates the US legislation on anti-Russia sanctions and might entail an appropriate response to the NATO member's move. MOSCOW (Sputnik) — US Democratic Party Senator Ben Cardin, the member of the Senate Foreign Relations Committee, sent a letter to the US administration on Thursday, in which he noted that Turkey's purchase of Russian S-400 missile systems requires an automatic imposition of sanctions against Ankara. In August, Washington imposed sanctions against Russia, targeting defense and economic sectors and restricting dealings with Russian companies. The law imposes sanctions "on any person that conducts a significant transaction with the Russian Federation’s defense or intelligence sectors," Cardin wrote in the letter, as quoted by the Politico magazine. On Tuesday, Turkish President Recep Tayyip Erdogan said that Ankara had made the first payment for the Russian S-400 systems. The Pentagon told Sputnik later in the day that the US had informed Turkish authorities of its concerns over the country's purchase of the Russian S-400 surface-to-air missile systems, citing Ankara's membership in NATO as a reason for the state to defend itself by means of the alliance's "interoperable missile defense system." The deal triggered concerns within US Department of Defense, but NATO Secretary General Jens Stoltenberg, as well as France and Germany, said that it is Ankara's sovereign choice. In response to Washington's "furious" reaction to the matter, Erdogan stressed that Turkey is "the host in its own country." When asked whether Turkey's membership in NATO would become an obstacle to S-400 deliveries, the Kremlin aide said earlier that "each party undertakes commitments determining what it has the right to do with the delivered weapons, and what it cannot do. The S-400 is Russia's next-generation air defense system. It carries three different types of missiles capable of destroying aerial targets at short-to-extremely-long ranges. It is designed to track and destroy various types of aerial targets, from reconnaissance aircraft to ballistic missiles.